Saddest update ever. 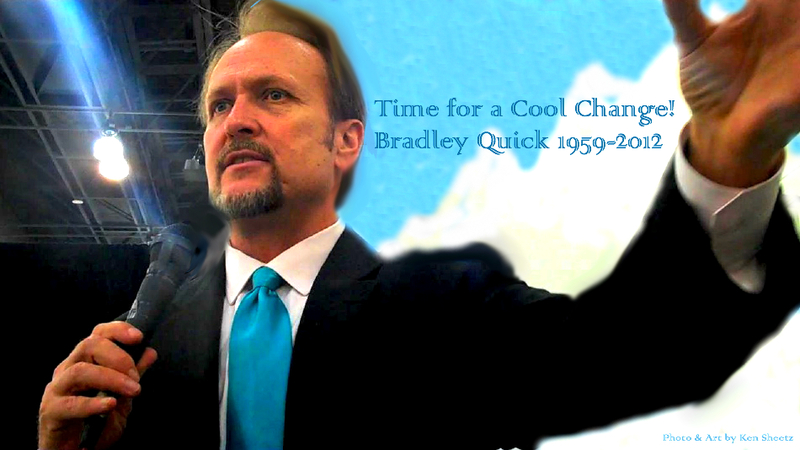 After a sudden battle with Cancer DreamShield booster Bradley Quick passed on 10.22.12. Here this the link to the story of my Uturn on the road to Antarctica 12.12.12 to see him one last time before he transitioned to the higher realms. Bradley is not gone, he’s just made a cool change. 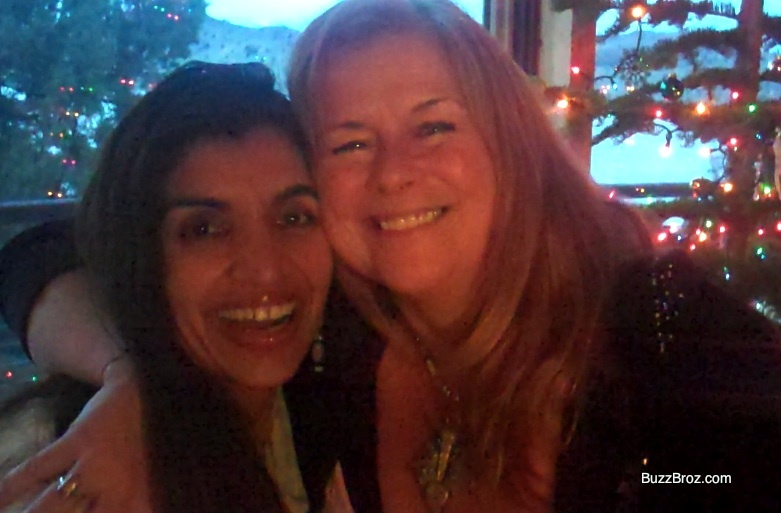 What a lovely day it’s been today preparing for the Butterfly Meditation tomorrow at Laura De Leon’s lovely home and with Dr. Sarah Larsen, for the New Year’s Day DreamShield Butterfly Meditation. As I look back on how 2010 unfolded its like reading a great novel. 2010 began with the economy worsening and feelings of great insecurity for us all. I was low on cash and stranded in New Mexico with my roommate’s family. I was alone and miserable over losing my home, my car, my stuff and my dog in 2009. Yet I was oddly happy. How could I be happy having lost everything in the world, stuck in New Mexico painting my then roomate’s house for free that did not belong to me while not being able to afford being home with my family? The answer is that I had learned somehow through all this that my happiness lay within me and not in external things. As I got back to LA I began in earnest to do my best to rebuild my life. My roommate had to give up on Hollywood for a while and regroup in New Mexico. And after a rocky sudden departure that nearly left me homeless I ended up on the doorstep of Bradley Quick and his Cool Change Foundation. In return for couch surfing for two weeks I’d agreed to social media for Bradley, a motivational speaker and radio talk show host that uses media to battle substance abuse. The cause caught fire in my heart and my little enterprise BuzzBroz donated a dozen videos when I’d only promised 2. When my two weeks was up and I was getting ready to leave Bradley asked me to extend the arrangement until I whenever I felt it had run its course. That was – 10 months, 70 videos, 5,000 twitter followers, a LiveStream Channel, A Facebok fan page and half a million YouTube views for the Cool Change Foundation – ago. With Bradley every day is an adventure as he endeavors to get the word out to more and more people via BuzzBroz. He’s going to be broadcasting live 5 days a week in early 2011 and it’s amazing to watch and help him put that together. And its through Bradley’s love and support I have come to find my passion and purpose in life with DreamShield. All roads on this project lead back to Bradley’s unselfish introductions in return for all the help I have donated to his charity. The chain went like this Bradley introduces me to Dorothy Donahue, Filippo Voltaggio and Connie Miller. This leads to my trip to Italy in May and my angel activation in the first DreamShield by the healer Guila at Santa Maria Del Sole. 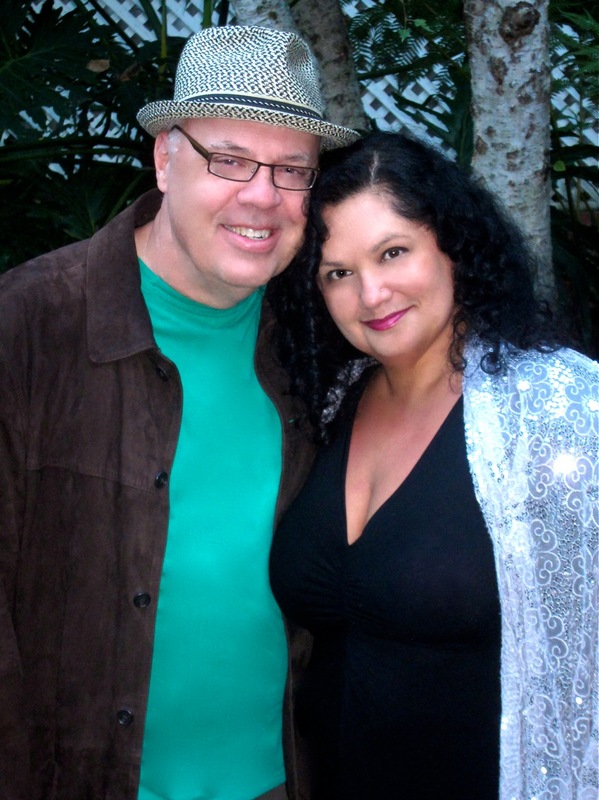 On return to the US I talk to Barnet Bain, Sarah Larsen, Mica Monet and Ramon Goves, who I met via Dorothy and Fillipo and they convince me to share the vision of a gentle 2012 and the mission to honor the DreamShield on 10/10/10. A global web event with, Spirit Recovery, a sponsor out of Nashville, Lee McCormick, who I also met via Bradley lets DreamShield, only 3 months old be seen across the world in all 24 times zones with live events in Nashville, LA, Greece and Itlay broadcast on YouTube and LiveStream. The stars are the limit for this work for 2012 and beyond. Funny thing is that I was thinking on 10/10/10 that this was end of DreamShield until 11/11/11 and 12/12/12 when I am further activated via lunch meeting with Isabella Stoloff that booms into a 11/1/10 mediation followed by a huge slate of planetary meditations. And then Dr. Sarah Larsen emerges as a key partner in the DreamShield work and brings in so many people here in the city of angels for the mission. The scope and majesty of the work is beyond anything I expected but involves extensive travel I had not budgeted for and my cash runs low. And again Bradley steps up to lend a financial hand, keeping the work alive, me fed and working. The year ends with planetary meditations to reduce earthquakes, deflect asteroids and healing of the ozone layer and preparations for an amazing 1/1/11 New Year’s Day meditation hosted by singer Laura De Leon at her lovely home with amazing husband Bob and the wonderful Dr. Larsen and I helping her pull it together. In 2011 I resolve to continue to donate a big chunk of time to Bradley’s charity with the majority of my time going that with the DreamShield. But Bradley’s loves and supports the work because what could be a cooler change for his Cool Change Foundation than the change DreamShield that he helped start is bring about for a gentle 2012?